Finding a Realtor is almost like finding a partner—you may need to go on a few dates before finding the one. Like in dating, it’s important to know what you’re looking for in a Realtor. There’s a lot riding on your relationship with this person, you don’t want to invest time and energy in someone you won’t be able to trust. Regardless of whether you’re looking to buy or sell a property, finding the right Realtor can make a huge difference on your happiness and your finances. A Real Estate Salesperson, also known as Real Estate Agent or Realtor is a licensed professional who assist people in the buying and selling of properties. In British Columbia, these professionals are regulated by the Real Estate Council of B.C., an organization that licenses and trains Realtors. There are plenty of licensed professionals in the province, but not all of them are good. They are always one step ahead of you. You never have to follow them up for next steps, they are on top of it. They listen. They understand what you are looking for and your unique situation and they look for solutions. They focus on communication. You are never left wondering what is going on, they keep you up to date, even if the update is that nothing has happened yet since the last update. They deliver on their promises. They do what they say they are going to do, when they said their were going to do it. British Columbia’s real estate market is saturated with Realtors. According to the Real Estate Council of B.C., in 2016 there were 23,366 licensed Realtors in the province. This adds up to nearly 1 Realtor every 200 people. Because it means that Realtors are in intense competition with each other, making BC a buyer’s market when it comes to hiring Realtors. This means that you have the upper hand when it comes to choosing a Realtor. Much like if you were hiring any other employee, it’s important that you know exactly who you are hiring. Make a list of the Realtors you may know, you find and are referred to you. If you have colleagues or friends who have bought a home recently; ask how they liked working with their Realtor and who they were. Ask your BC Notary, lawyer or mortgage broker for a referral for people they have worked with. They should be able to tell you fairly quickly who they know, like and trust. You can also search online to find Realtors in your area. Be aware however that just because someone is good at being found online, doesn’t necessarily mean that they are a good Realtor. We know a number of Realtors and would be happy to provide some names to help you find the right fit. Before you start talking to potential Realtors, it’s important that you do some preliminary research. Search online. A quick Google search will give you the names of Realtors in your neighbourhood. More popular Realtors may even have reviews posted online. Read these reviews and come up with a list of six or seven Realtors in your area that may look promising. Talk to you neighbours, friends & colleagues. Once you’ve created a shortlist of potential Realtors, talk to people you know. Ask your neighbours if they have worked with anyone on your list, and see if they have anyone else to recommend. If someone has had anything less than a good experience with a Realtor, immediately cross them off the list. Reach out to the Realtors. Once you have a set list of potential Realtors, it’s time to contact them. See what kind of vibe you get and ask for references from previous clients. If you get a good vibe, keep them on the list, if you don’t cross them off. Whether you are selling or buying, it’s important to always interview at least three Realtors. These interviews may seem intimidating at first, but remember. You are in control. They have to impress you, not the other way around. These interviews are important to figure out if the Realtor has the perfect balance between credentials and chemistry. You also need to absolutely trust your Realtor. 1. How well do you know the regional market? Experts recommend that you stick to Realtors who work within a 15 kilometre radius of the listed home. This ensures that they know the area and the market well. 2. 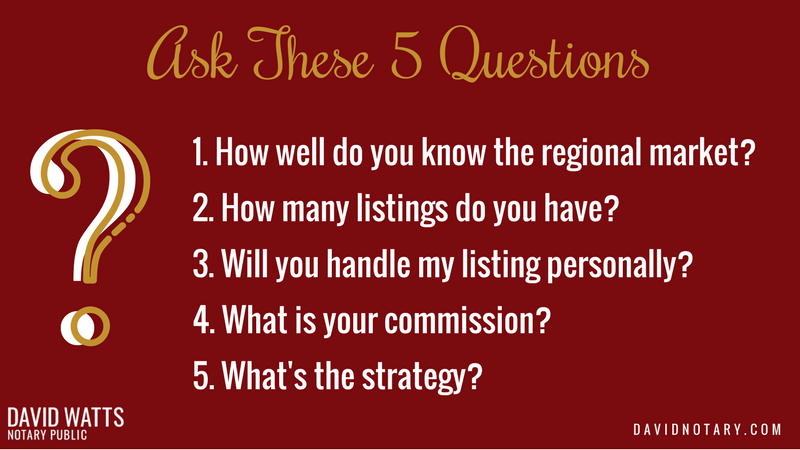 How many listings do you have? Figuring out how many listings a Realtor has will give you an idea of the kind of attention you’ll get from them. A Realtor with too many listings will be stretched too thin. This means that they may not be able to help you when you need. At the same time, too few listings may be a sign that there’s something wrong with that person. What’s the magical number then? It’s hard to say, but experts suggest that anywhere between 10 and 15 listings will allow your Realtor to pay attention to you. 3. Will you handle my listing personally? There’s nothing wrong with hiring a Realtor that has a lot of listings. In fact, sometimes it’s good to get high-profile Realtors that can help sell a property with their own name. If that’s the case, it’s often likely that the Realtor will not be handling your listing personally. Some people are often caught off guard when they hire a Realtor but instead end up working with a member of their team. Some Realtor teams have designated individuals for working with buyers and some sellers; you get benefits of the knowledge of the team and individual attention of the team member specializing in what you need. Make sure you know if the Realtor will be handling your listing personally or relying on team members. It’s important that you know exactly how much you’ll be paying a Realtor prior to hiring their services. Most often in British Columbia, the Seller pays the Realtor’s commission. Here are a few questions you should definitely ask potential Realtors before you hire them. What is their commission structure? Are there extra costs for things like home staging? 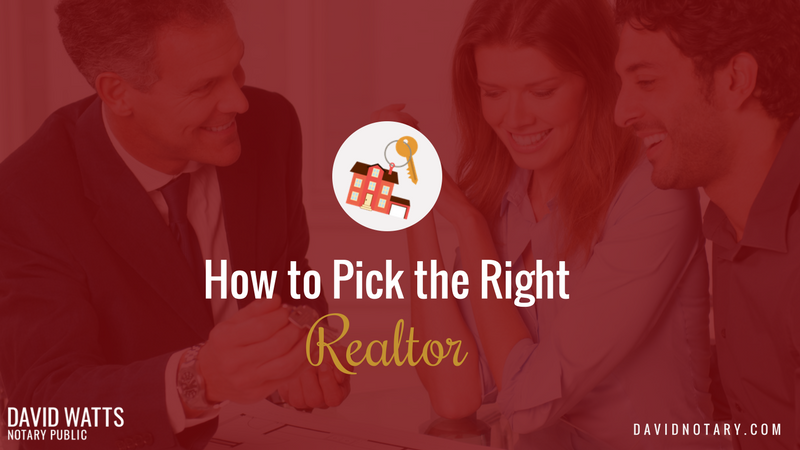 Figuring these things out will help add to your understanding of the process and choose the right real estate for you. Good Realtors will have a strategy to help you buy or sell a property before meeting with you. Great Realtors are able to explain this strategy to perfection. When you’re interviewing potential Realtors, make sure to ask them about strategy, and see what they bring to the table. In the end, you’ll want to choose someone who is prepared and knows exactly what they need to do to help you; and who you think you can trust. Once you’ve selected an Realtor, its extremely important to maintain an ongoing review of your working relationship with them. Sometimes Realtors put in a lot of work initially, but their efforts peter out over time. Being open about any problems or issues you are facing is crucial to building a successful working relationship with your Realtor. By reviewing the relationship, you stop your time and energy being wasted with someone who isn’t right for you, allowing you to find the right Realtor. If find out you are not happy after working with someone, you can find a new Realtor. While relationships with Realtors can sour, following the steps outlined above steps and asking the right questions before you settle on an Realtor will give you a better chance to find The One in your first attempt! If you have any questions, or would like a referral for a Realtor in your market; please email or phone me.